The weather in Columbus, Georgia can’t get any better. Beautiful mild days, the Chattahoochee River rushing nearby. Flowers blooming, birds singing, strolls through the Columbus Historic District and Uptown under stately oak trees in front of restored Victorians and shops and restaurants. Museums, nature walks, bike rides, shopping, great food, historic tours, catch a play or a concert outdoors or in one of our great music venues … the options are literally endless. The best weekend you’ll spend this Spring will be a weekend in Columbus, Georgia! What about The Spring Ramble? Don’t know where to start in exploring the Historic District and Uptown? Wish you had someone to guide you and give you an inside look? That’s what the Spring Ramble is all about. Hosted by The Georgia Trust, the Spring Ramble, from April 27-29, gives you a guided tour of Historic Columbus from old homes, historic neighborhoods, and fantastic dining opportunities, The Spring Ramble is the quintessential look at Columbus’ past and revitalized present. 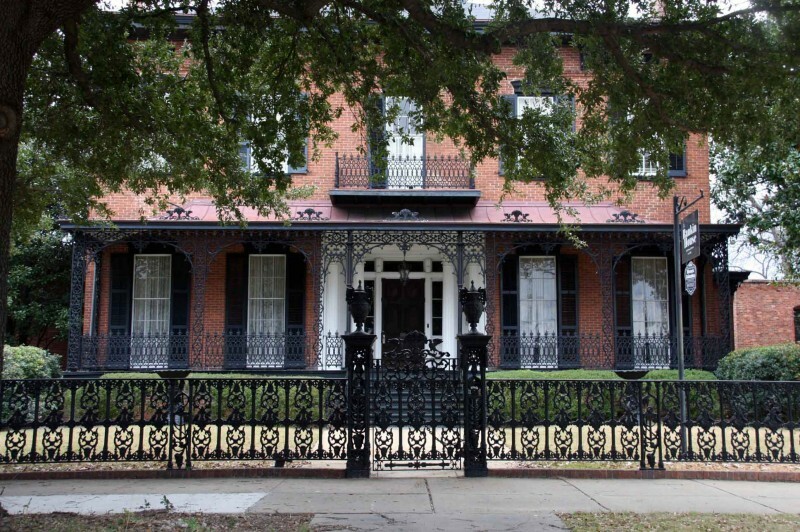 Each day you will discover a different historic district located within the city. On Friday, explore the Weracoba-St. Elmo Historic District, an early 20th century neighborhood containing the largest and most intact collection of Craftsman Bungalow, Tudor Revival, Neoclassical Revival and Spanish Revival style homes in the state. Saturday’s Ramble will take you to the original Columbus Historic District, a 26-block Victorian residential neighborhood. Located alongside the Chattahoochee River, the Columbus Historic District has retained its original character and charm while undergoing rehabilitation and restoration. Take a break from touring to enjoy lunch at one of the many charming local restaurants in bustling Uptown Columbus. On Sunday, begin your day with brunch at the Eagle and Phenix Mill Complex, once the largest mill in the south following the Civil War. Explore the Wynnton Historic District and Dinglewood Historic District, a neighborhood developed from an antebellum estate. The estate, which was subdivided between 1917 and 1946, includes early 20th century residences featuring Italianate, English Vernacular Revival and Colonial Revival style architecture. There are still tickets available for the “tours only” portion of the Ramble, but Columbus has so many great dining options right around the area where you’ll be taking your tours, that you’ll have no problem creating your own dining itinerary. AND if you are a student you can get tickets for half the price, but you must have a valid student ID at check-in. Don’t let the weekends of the Spring in the South pass you by. Come to Columbus, Georgia for a weekend and make memories that will last a lifetime. With the Spring flowers in full bloom, this would also be a great time to visit nearby Callaway Gardens, explore the RiverWalk, or take guided hikes into nature. We can help you will all of that as Columbus is a great place to base from for your Georgia Spring Adventure Weekend! Click here to find out about all the amazing things there are to do in Columbus!